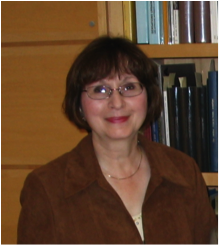 Biography Nancy Marrelli is the Director of Archives at Concordia University in Montreal. She is also the co-publisher of Véhicule Press. She speaks and writes in English and French on a broad range of professional topics including copyright, archival preservation, and audiovisual archives. One of her favourite subjects is Montreal jazz history and the Montreal night life in which it has thrived, about which she has written in her recent book Stepping Out – The Golden Age of Montreal Night Clubs. Abstract The presentation will be an overview of Montreal night life during its “Golden Age” from the 1920s to the 1950s – the time of the Art Deco period. It will include information about the entertainment scene context, including Prohibition, the North American entertainment circuit, floorshows, supper clubs, dance bands, radio broadcasts from nightclubs. The Power-point presentation will include 70 images of Montreal club interiors and exteriors of that era, the entertainers (singers, dancers, musicians) who played here, some of the promotional material used to advertise the clubs and the entertainment, other graphic materials such as menus and souvenir postcards and the patrons who were “stepping out”. Biography Dane Lanken is a writer with a particular interest in architecture and architectural preservation. He was born in Montreal in 1945, and is a graduate of Montreal West High School. He was a reporter and critic at the Montreal Gazette, a feature writer for the Globe and Mail, and a long time writer and editor with Canadian Geographic magazine. His books include Montreal at the Crossroads (1975), Montreal Movie Palaces: Great theatres of the golden era 1888-1938 (1993), and Kate and Anna McGarrigle Songs and Stories (2007). Recently, he has taught journalism and writing at St. Lawrence College, Cornwall, Ontario. Abstract The movies were invented in the 1890s, and experienced dramatic commercial success in the first years of the 20th century. By the early 1910s, substantial film theatres were built in Montreal (and virtually every other city in the world), with a peak in size and opulence around 1920.The decorative scheme of almost all movie theatres built in Montreal before the late 1920s was Classical or Adam-style. But in the late 1920s, other styles of decor began to appear, including garden settings and specific scenes like Spanish towns or Egyptian palaces. Art Deco soon joined this trend of experimentation. The Outremont, in 1929, showed Art Deco influences, the Chateau, in 1931, was a vast Art Deco barn. The Snowdon, Savoy and York, in the late 1930s, all exhibited Art Deco features as well.Of these theatres, the Outremont, Chateau and Snowdon are still standing and in fairly original condition. Biography Having studied Architecture and Fine Art in England, Naomi Lane worked as a scenic painter in the London theatre scene before returning to Canada to work in the Film and Television industry as an Art Director. However her passion for Architecture and its preservation led her to Montreal where she completed a Masters in Architectural Conservation. Having gained experience at the Conseil du patrimoine de Montreal as well as at the Conseil du patrimoine religieux du Québec, Naomi now works at one of the country’s leading Architectural Conservation firms, DFS Inc. Architecture & Design, as an Architectural Conservationist. Naomi has presented papers at both the ICOMOS Canada conference and at the Society for the Study of Architecture in Canada conference, both in 2006. She is currently the Founder and Coordinator of INTBAU Canada (International Network for Traditional Buildings, Architecture and Urbanism), sits on the Planning Advisory Committee for Montréal’s Plateau Mont-Royal district and is a member of ICOMOS and APTI. Abstract It is fairly widely accepted that the firm of Ross and MacFarlane (1905-1912), and later Ross and MacDonald (1913-1944) contributed enormously to the changing architectural landscape of Montreal during the first half of the 20th century. During a period, which signified a tendency to break away from architectural conventions in favour of a ‘modern’ style, Ross and MacDonald sought to integrate modern technology and the modern sensibility of ‘form follows function’ into their designs whilst taking inspiration from Classical and Beaux-Arts styles. 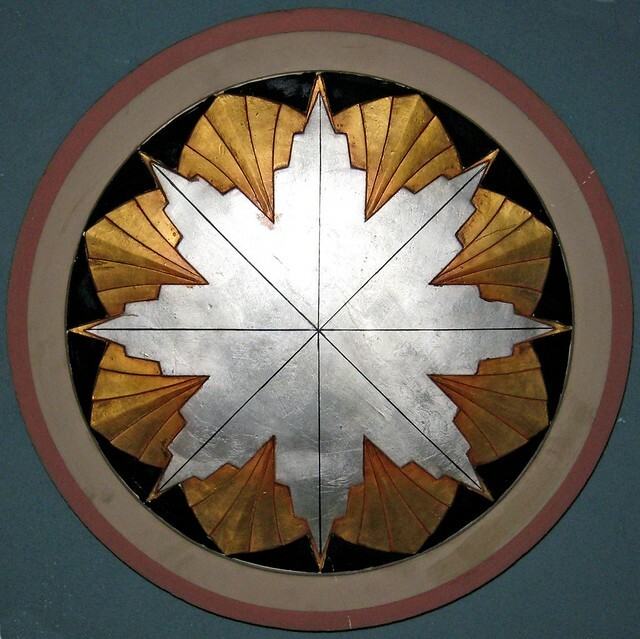 Primarily renowned for their large, commercial and public buildings and skyscrapers implanted on prime sites throughout Canadian metropolises, Ross and MacDonald’s work was heavily inspired by the Chicago school. It principally focused on ensuring a productive studio of designers, architects and engineers engaged in producing aesthetically pleasing and efficient designs to satisfy the client’s spatial and practical requirements, which ensured maximum financial returns. This paper will consider the contributions that the architecture of Ross and MacDonald made to the aesthetic, cultural and economic landscape of Montreal, and will analyze the influence that it had on the future generations of architects who worked for the firm, now known as DFS Inc. Architecture & Design, a firm for whom the author of this paper currently works and who occasionally deals with the conservation of the late firm’s buildings. Ernest Isbell Barott architect and the works of Barott and Blackader architects. A look at the works of the architects of the Aldred building. Biography Etienne Coutu is a Montréal architect. He studied Architecture and Urban Design at Columbia University in New York, and holds a Master in Architecture from the Université de Montréal. Abstract Ernest Isbell Barott is the architect of the Aldred building, the most recognized Art-Déco architecture symbol in Montreal. The firm Barott & Blackader, founded with fellow McKim, Mead & White employees in 1916, became one of the most respected firms of the city and gave it some of the most beautiful buildings. Their work has modeled Montreal by bringing many important buildings that still stand as the Saint-Denis theatre (1915), the Canada Cement Company building (1921-22), on Square Phillips, a large addition to Henry Morgan store (1922-23), the Beaver Hall building of the Bell Telephone Company of Canada (1927-29) and the third Canadian Pacific station in Vancouver (1912-14).). But of all projects, the one that really struck the imagination of people with its new streamlines and art-deco style was the Aldred building, built as the midst of the economic crisis in 1929-1931. This look at the evolution of the work of Barott is a way of understanding in which ground could that particular style has grown to be an integrated and successful part of his architecture. Abstract This talk will discuss the famous 9th Floor dining room, Le 9e restaurant at the top of Eaton’s Department Store which was located in the hub of the busy shopping area on Sainte-Catherine Street in Montreal, Canada, and its relationship to the French ocean liner the Ile de France. This talk will be based on research and Ms. Guerin’s feature article, which appeared in the ADSNY magazine, The Modernist, Millennium issue 2000, of which she was editor-in-chief at the time. With a few slides she will talk about how 9e is a replica of the Ile de France steamship’s dining room and also discuss the grandeur of the Ile de France itself. Legend has it that when Mrs. Flora McCrea Eaton traveled on the Ile de France she was asked, “Is there anything special you would like from the ship? Enchanted by the majestic Art Deco style of the first class Salle a Manger, Lady Eaton replied, “I’d like to have the dining room.” Ms. Guerin recalls going to lunch or tea in the famed restaurant with her mother or aunt when she visited her relatives in Montreal, and will make that reference and experience part of her talk. The Ivanhoe Cambridge organization has been very helpful in supplying updated Information. Note of interest: The 9e is currently not operating as a restaurant and hasn’t for quite sometime, but Ivanhoe/Cambridge has maintained the integrity of the restaurant which may be opened sometime in the future. At the present it is my impression according to the director Johanne Marcotte that 9e will not be available/open for a delegate tour during the l0th World Congress. I could be wrong but with about six months lead time until the conference perhaps that edict will change. Biography As a librarian, Isabelle Crépeau specializes in publications in the field of architecture. Since 2002, she has been involved in the development of current and retrospective collections of the Centre Canadien d’Architecture/Canadian Centre for Architecture (CCA) library in Montreal. Isabelle has published articles and worked with archaeological excavations teams in Jordan and Israel, illustrating books in this field. In 2004, she collaborated on a temporary display/presentation of Art Deco books and objects from the CCA collection. Isabelle Crépeau holds a Master in Library and Information Studies (MLIS) from McGill University, a bachelor in Administration des affaires from Université du Québec à Montréal (UQAM) and studies in Landscape Architecture and Art History from Université de Montréal. 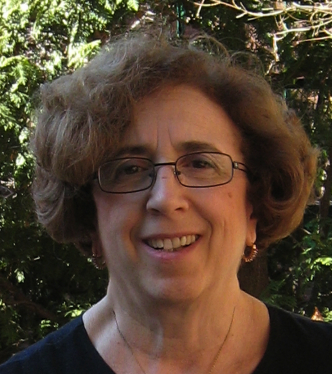 Biography Kathryn L. Kollar has an M.F.A. in Canadian Art History from Concordia University and an M.L.I.S. from McGill University, both in Montréal. 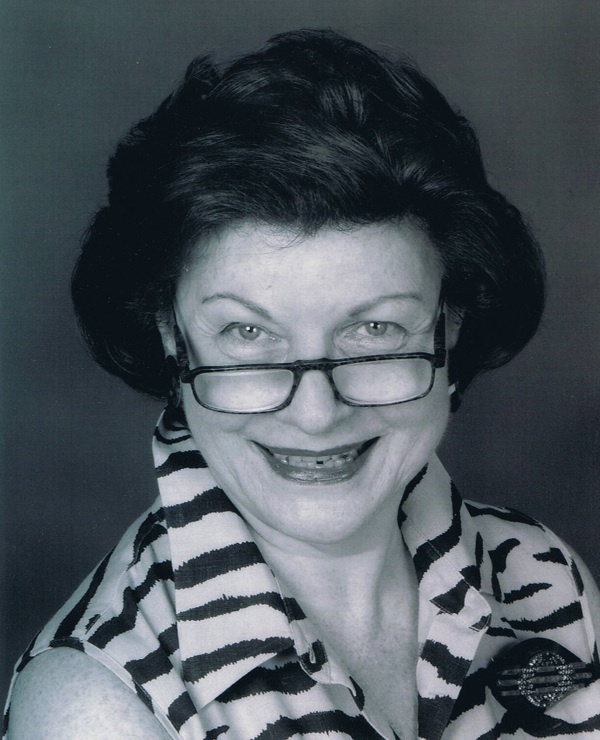 Kathryn began working at the Library of the Centre Canadien d’Architecture/Canadian Centre for Architecture (CCA) as a bibliographic searcher in 1985, becoming the Head of Acquisitions in 2005. She is a member of the Art Libraries Society of North America (ARLIS/NA) and is an active member of the local Montreal/Ottawa/Quebec chapter, having served as co-editor of the chapter’s newsletter MOQDOC from 1995-1997 and as its Treasurer from 2004-2007. Abstract The Montreal architect Ernest Cormier (1885-1980) was in Paris at the time of the 1925 Exposition universelle des arts décoratifs. He returned home inspired by the artistic elegance of this new modernity in architecture and the decorative arts. Cormier thought of himself as an architect-artist. His circle of friends included painters, sculptors, musicians and men and women of letters. He mastered the art of watercolour and developed an interest in furniture design and, more as a pastime, in bookbinding. In France, the graphic artists Rose Adler and Pierre Legrain created an Art Deco style of bookbinding. In the graphical compositions and in the choice of material, Cormier’s bookbinding closely resembles the style of that era and the work of Adler and Legrain. In the early 1980s, the Canadian Centre for Architecture acquired a major portion of Cormier’s library. It consisted of documents of a practicing architect, including reference works and monographs and other works by such contemporaries as Jacques Ruhlmann and Michel Roux-Spitz. It also included a collection of books bound by Cormier. This talk will examine Ernest Cormier’s library and present several examples of his accomplishments in the art of bookbinding (talk in French and English).